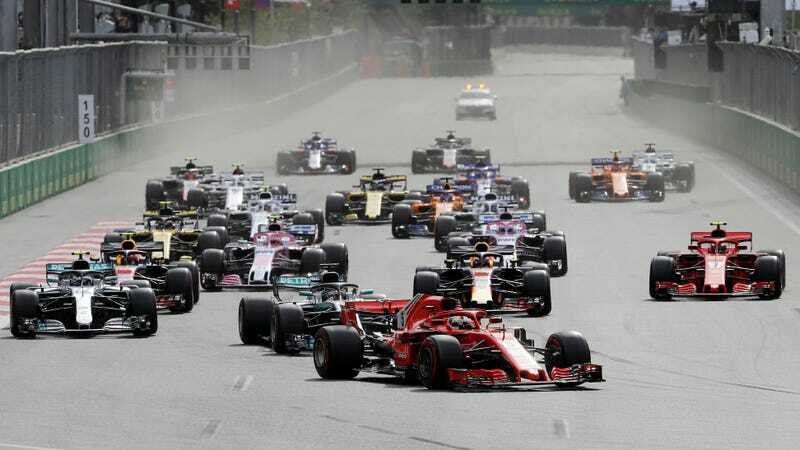 Formula One is the most recent racing series to look to American sports and decide “yes, this is exactly what racing needs”. Namely, F1 chairman Chase Carey, as reported by Eurosport, thinks something NFL draft-style events will keep the hype train rolling well into the winter months. The plan stems from a desire to keep people interested all year long. The quiet winter months in motorsport really don’t lend themselves to fan engagement, and Carey wants to solve that problem. What better model to use than the massively popular NFL draft, an event that American football fans absolutely adore. “One of the ambitions we have is to figure out how we make this sport something that engages the fans 12 months a year,” he said. “But it doesn’t mean we will race [that long] - our season is not going to go [to] 12 months. “One example would be the NFL, which is not playing right now but they just had the NFL Draft. That is a big event. They have created events that are interesting for fans even when they are not in the season. Lengthening the already-lengthy calendar really isn’t an option for extending interest. Instead, Carey has proposed a very vague desire for “competition” that doesn’t necessarily involve racing F1 cars but would involve the drivers and teams, possibly paired with larger F1 festivals. So, it’s probably not going to be exactly like the draft. That’s actually probably a pretty bad metaphor on Carey’s part, because it suggests that F1 is going to transform itself entirely in order to determine its drivers via selection rounds based on team standing. That’s not exactly what they’re doing. But aside from the unfortunate analogy, it doesn’t necessarily seem like a bad idea. They’re not entirely restructuring races to introduce a playoff format like NASCAR and they’re not looking to video games to make races more exciting like Formula E.
F1 could probably use a little positive press during the winter months, when news from the racing world is hard to come by. It can’t hurt to give fans something to look forward to. Although I do hope they don’t actually stick with calling it the draft.